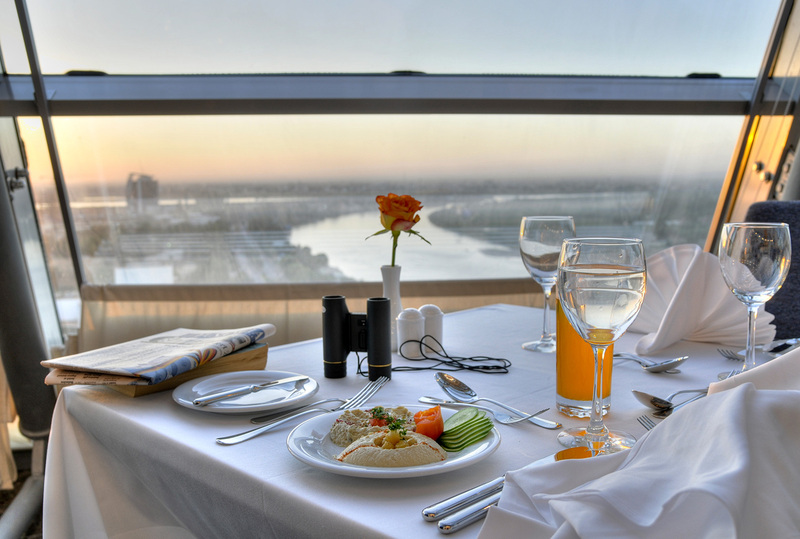 Situated overlooking Tuti island, where the Blue and White Nile converge, and shaped to resemble a twin sail, a towering edifice to confidence and modernity, the Burj Al-Fateh Hotel – now much more commonly known as the Corinthia Hotel Khartoum – is one of the city’s most luxurious and atmospheric hotels. 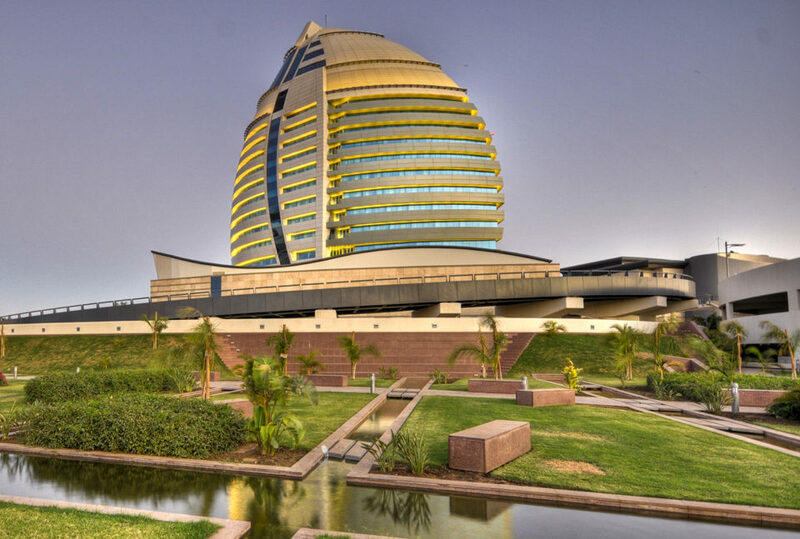 The Corinthia Hotel Khartoum faces out from a core atrium that rises above the lobby and reception, while the hotel’s rooms are dominated by views of the city and the Nile. 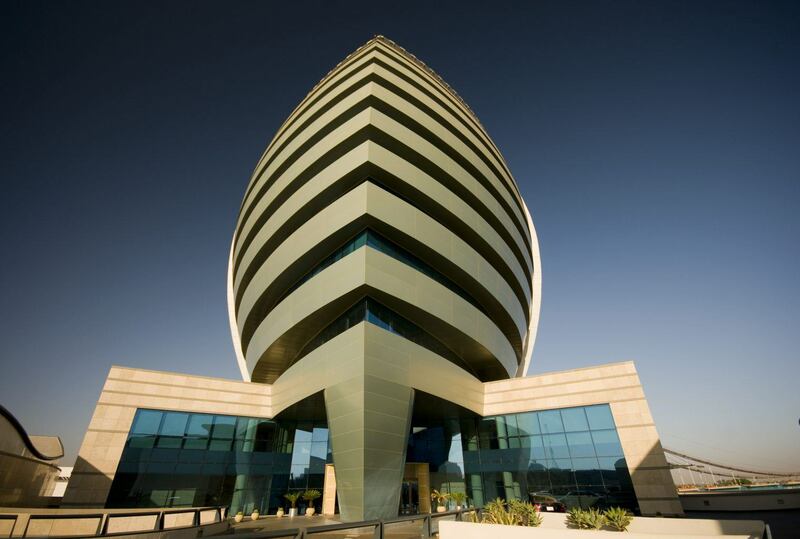 A steel and glass build, finished in 2008, this is a five star establishment, located at the heart of the Khartoum’s commercial, business and administrative districts. 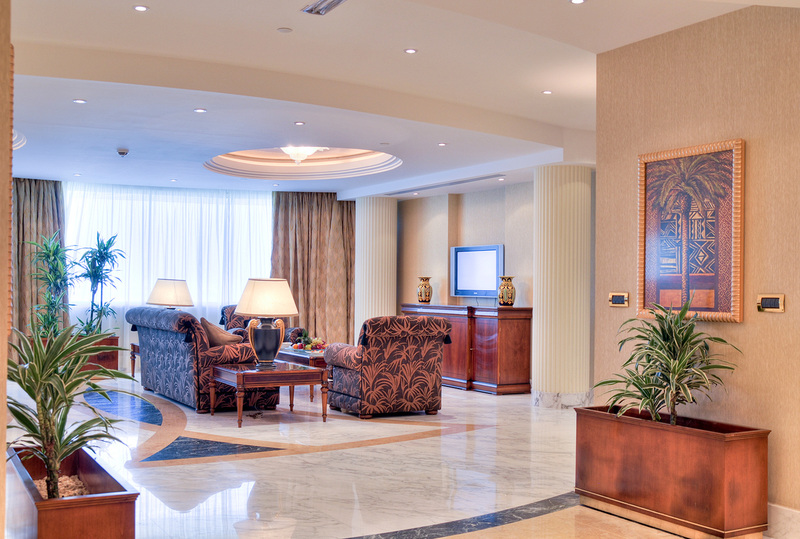 Surprisingly large, it boasts 173 rooms and 57 suites arranged over 18 guest floors. 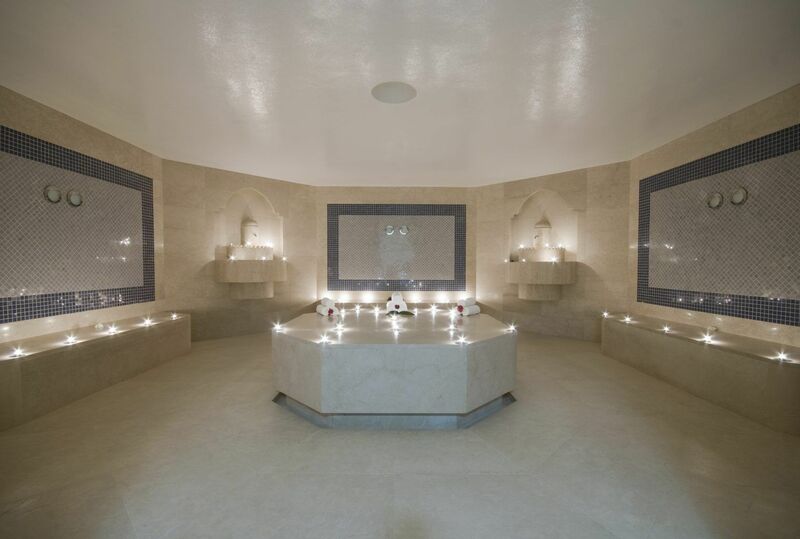 It has 4 restaurants and 2 cafes, a club lounge, gift shop, a fitness centre and spa – which includes and a Turkish hammam, gymnasium, sauna rooms, indoor pool, squash and tennis courts. Décor is clean, contemporary and minimal; polished tiles and marble interspersed with touches of deep wood. Food-wise, the choice is extensive. Situated on the 18th floor, the Rickshaw remains the city’s best restaurant. It offers an evening menu that takes in the best of Asian cuisine, with influences from China, Japan, Thailand, Malaysia and Vietnam. Two floors down is the Mugran Restaurant. 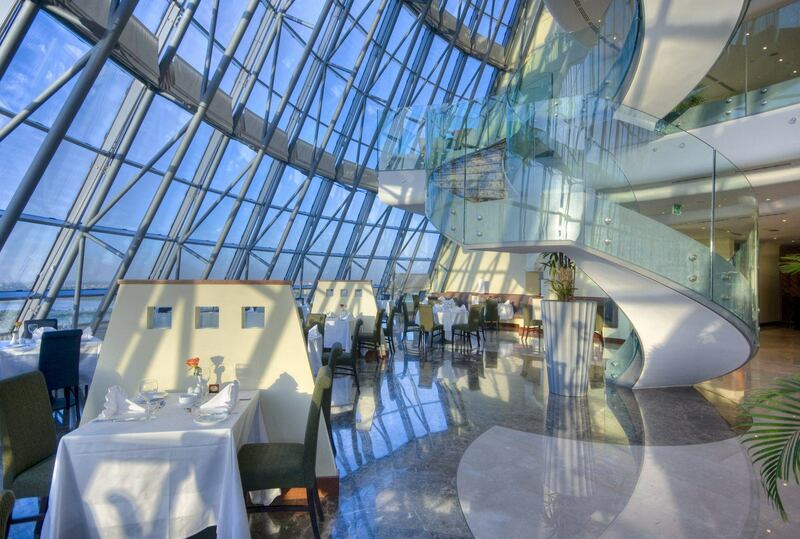 Light and airy – and blessed with panoramic views – it serves breakfast, brunch, lunch and dinner, with a daily changing buffet menu with specialties from around the world. There are two other dining venues. On the ground floor, is the relaxed vibe of the Le Grill Steakhouse, while for alfresco meals, the Africa Garden is set in amongst the fountains of the hotel grounds. The hotel also offers two coffee shops serving drinks and pastries from 7.00 am to 11.00 pm daily. 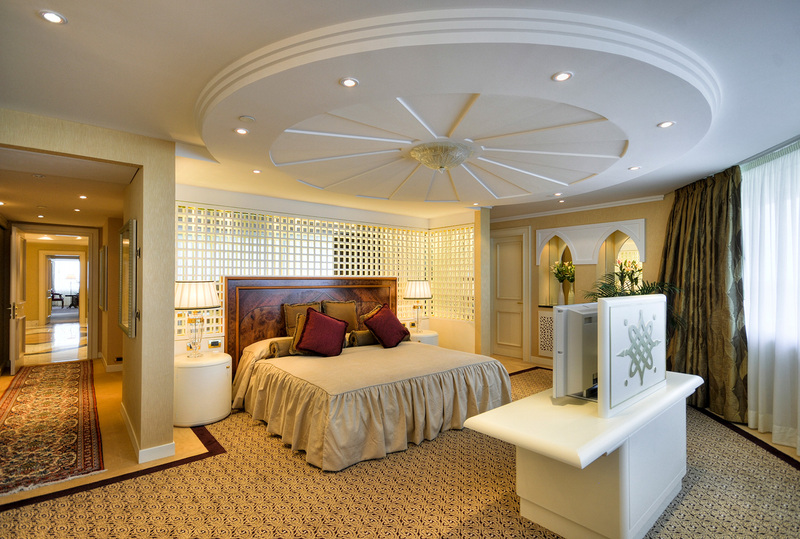 Divided into either Deluxe or Executive, the rooms at the Corinthia Hotel Khartoum are all equally large with impressive river views. Ensuite, with TV, Wi-Fi, a safe, minibar and twin line telephones with data ports, they also feature a decorative screen dividing the bed from a small lounge area. 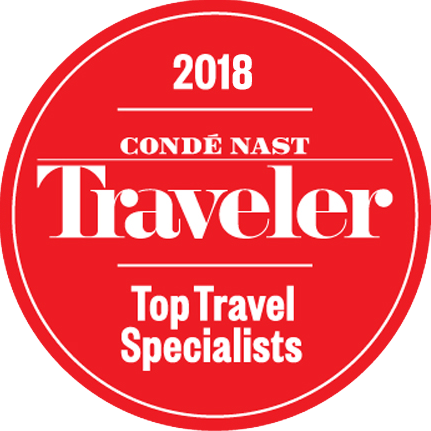 A class above, the suites – Executive or Ministerial – include separate lounges; while for a truly palatial experience, the hotel’s Presidential suite provides 2 bedrooms, living room, dining room, pantry and private study. Despite the hotel’s size, visitors often comment on how they are made to feel part of a large family by the friendly and attentive staff. There is also a full business centre, with attendant conference and meeting rooms, 24-hour room service, laundry and dry cleaning. Please be advised that, while alcohol is certainly available, and consumption tolerated, it is not something the hotel makes a point of advertising. 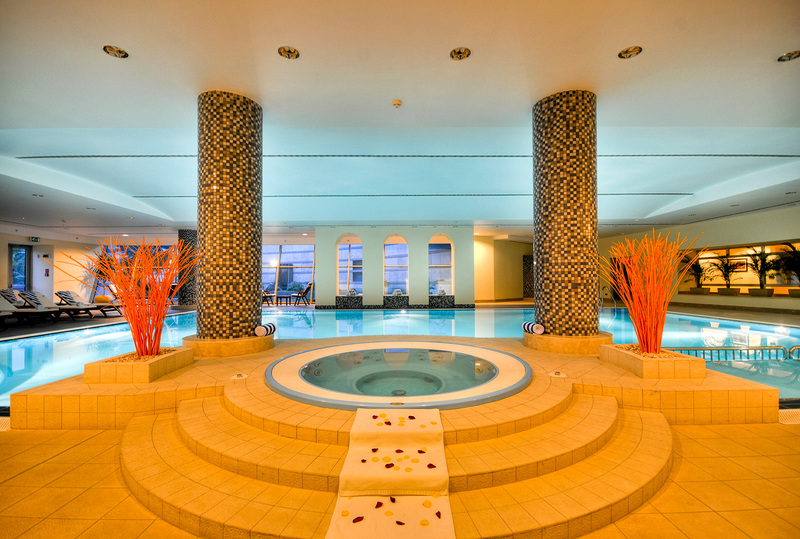 Within the hotel the fitness centre carries our fullest recommendation, whilst outside the winding Nile beckons. 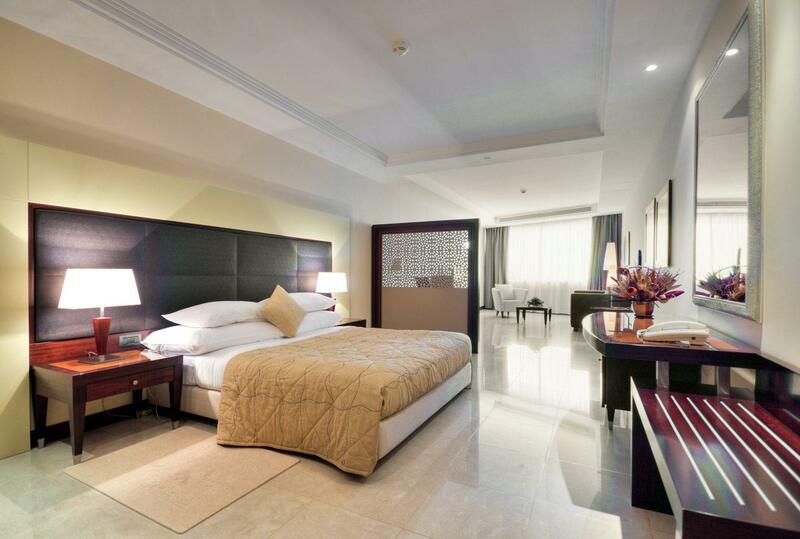 To find out more about Corinthia Hotel Khartoum and to arrange your tailor-made trip, get in touch with us today.